As your family’s dentists, Cheshire Dental Associates is committed to providing you with the comprehensive care you need for a healthy and beautiful smile that lasts a lifetime. We provide dental care, from routine cleanings to teeth whitening and root canal therapy. Cheshire Dental is one off the best dental facilities I've ever used. I've been a patient 10+ years and couldn't be happier with my experiences. I've recommended them to friends and family and all are in agreement. Dr. Fletcher is wonderful and the hygienists and receptionists are very pleasant, always! I hope this helps those of you in need of a new dentist! I highly recommend Cheshire Dental. A couple of great services included free of charge in their teeth cleaning and exam are an intra oral exam with a camera and cancer screen testing. When you’re choosing a dental office for your family, you want dentists you can trust, a friendly and supportive staff, and a clean, welcoming environment. At Cheshire Dental Associates, you can have all of these. 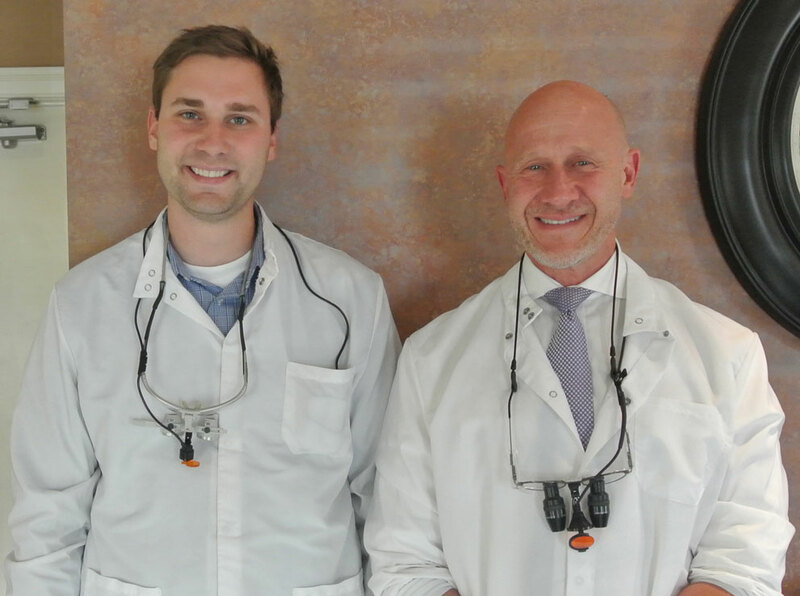 Cheshire dentists Dr. Jeffrey Bisson and Dr. Dane Fletcher are skilled and experienced, offering a range of services to treat your entire family. Our support team is made up of well-trained people who love what they do and are excited to welcome you to our practice. 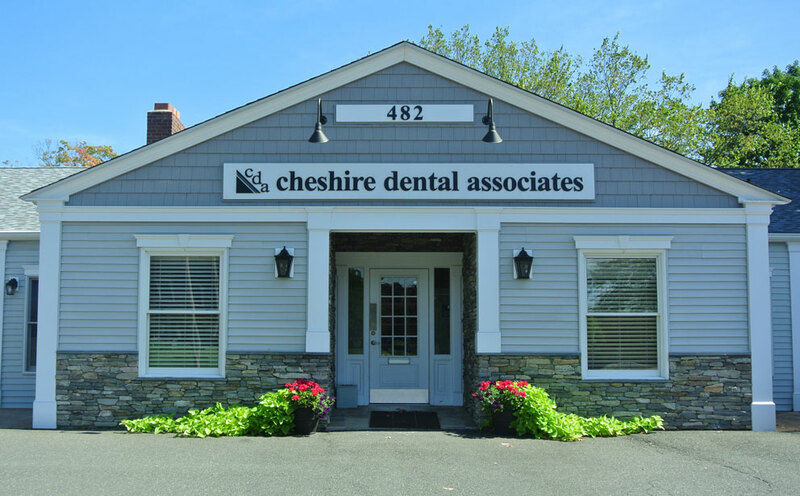 Cheshire Dental Associates was founded in 1966, and patients in Cheshire, Southington, Meriden, Prospect, Wallingford, and the other surrounding communities have been visiting our office for nearly 50 years now, continuing a tradition of high-quality care. We know that it can be a challenge to fit dental appointments into your busy schedule, and we offer extended office hours to make it easier to be seen for both routine care and those inevitable emergencies that come up. Several days a week, we’re open as early as 7:00 am and as late as 7:00 pm, so we’re sure that we can find a spot in our schedule to accommodate you and your family! We’re also happy to welcome your entire family to make it easier for everyone to get the care they need, regardless of their particular age or stage. We know that your budget is always a concern as well, and we are in-network with several major dental providers and are also happy to file with out-of-network plans. If you don’t have dental coverage or you need a treatment that isn’t covered, we accept CareCredit and CitiHealth, two financing options that allow you to pay for your dental care in reasonable monthly payments. Do you need to schedule a routine cleaning and examination? Do you want to spruce up your smile with a cosmetic treatment? Do you need some more extensive care to treat a specific dental problem? You can trust Drs. Bisson and Fletcher to provide professional, honest recommendations and guidance to get you the treatment you need. Before we plan any procedure, we’ll discuss all your options with you. You are a valuable part of your dental treatment team, and you always have the final say in your care. As part of your care, we’ll take the time to educate you about your dental health and the procedures we recommend so that you can always make an informed decision. From comprehensive dental hygiene to same-day crowns and bridges to dental implants and veneers, we can give you the healthy, attractive smile you want and deserve. At Cheshire Dental Associates, you are never just a number in a chart or a face in the crowd. You are a one-of-a-kind individual with unique goals and needs, and we promise to never forget that. Let us know how we can help you. Whether you’re a valued current patient or you’d like to become one, we can’t wait to see you! Give us a call today to schedule your next visit. Should I get a silver filling or a tooth-colored filling?